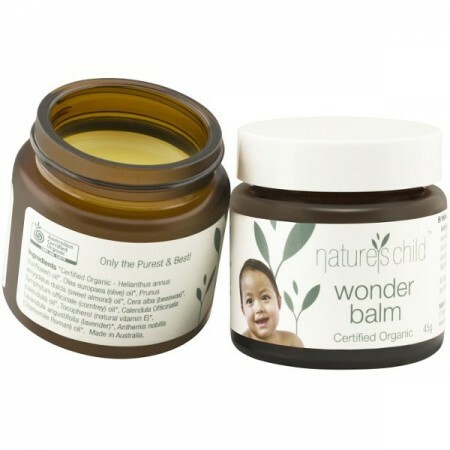 Nature's child wonder balm is a beeswax based body balm with essential oils to remedy a range of skin ailments. Please note that the lid is plastic but it does not come in direct contact with the contents of the glass jar. 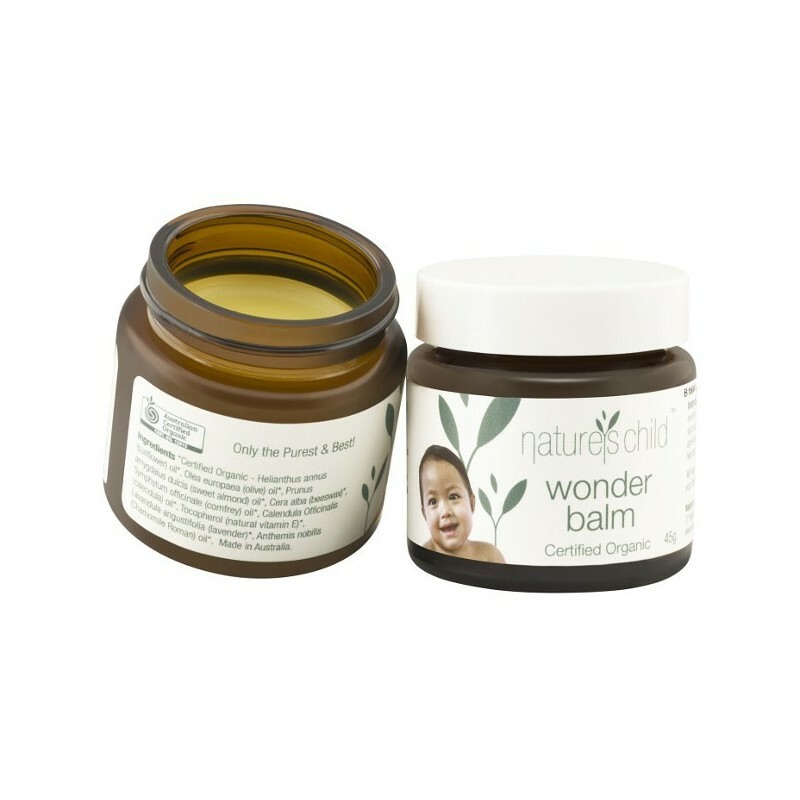 A really nice product - I use this on my newborn's bottom, but also on dry patches of skin - cheeks, elbows, arms. Glides on easily and has a lovely light fragrance. It's a great all-rounder!